SemiAccurate has been waiting for one big thing before declaring ARM servers real and AMCC has just delivered that. If you have been waiting for ARM V8 silicon to arrive, may we present to you AMCC X-Gene silicon in the wild. This is the single most significant change to happen to servers in years, and it has been long long overdue. Nvidia was promising analysts that they would have it in Q4 of 2012 but we scoffed at that. 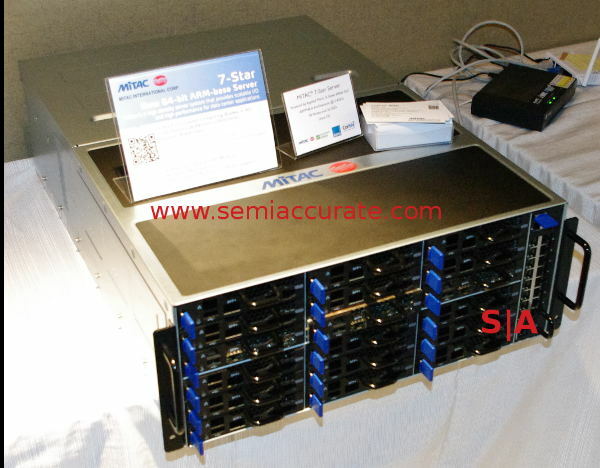 AMCC is the first to actually deliver ARM V8 64-bit server silicon and it will change the server world. Take a look.